On February 15, 2012, the Financial Action Task Force (FATF) adopted extensive revisions to its 40 Recommendations on Combating Money Laundering and the Financing of Terrorism. The approval culminates an extensive review process that began in June of 2009 and paves the way for a new 4th round of mutual evaluations to begin in 2013. During the last round of mutual evaluations, poor compliance with the old Recommendation 33 requiring the collection of beneficial owner information was identified by FATF as a significant weakness. (“Beneficial owner” is a term that refers to the natural person(s) that ultimately control(s) a legal person.) FATF recognized the challenges faced by financial institutions and designated non-financial business and professions in fulfilling the obligations to identifying beneficial owners and, therefore, gave considerable attention to this during the revision in an attempt to address some of the concerns. Numerous countries, including the United States, were deemed to be noncompliant with the old Recommendation 33. As a result, it is possible that the revisions to the 40 Recommendations and the pending resumption of the mutual audits in 2013 may impact the possibility for passage of U.S. Senate Bill S1483, which mandates the collection of beneficial owner information. The bill was introduced by Senator Carl Levin of Michigan and is currently sitting in the Senate Homeland Security & Government Affairs Committee. Senator Levin has also introduced similar legislation in previous sessions of Congress. There is a related House Bill, H3416. The bill was introduced by Representative Carolyn Maloney of New York and is currently in the House Financial Services Committee. While the two bills share a common name and intent to mandate the collection of beneficial owner information, they are not identical. Senator Levin and law enforcement officials have been the principal proponents of legislation requiring the collection of beneficial owner information. In addition to the U.S. noncompliance with the old Recommendation 33, they cite as reasons for the need to collect beneficial ownership information numerous reports of law enforcement difficulties in identifying the principals behind legal entities suspected of facilitating terrorism, financial crimes and tax evasion. However, the legislation has languished in Congress because of opposition by the states and other parties. Among the concerns expressed by the opponents is the perception that the bill is an unfunded mandate, differences over the definition of the term “beneficial owner” and privacy issues. 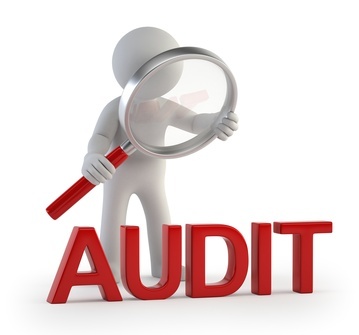 While the upcoming elections would seem to make movement on the bills unlikely, the resumption of the mutual audits may increase pressure to take action on the legislation to bring the U.S. in compliance with the recommendations before the next audit. Also, the pending retirement of Senator Joe Lieberman, Chairman of the Senate’s Homeland Security & Governmental Affairs Committee, and the possibility that the Republicans will take control of the Senate are additional reasons why Senator Levin may be anxious to move S1483 forward during this session of Congress. creation, operation or management of legal persons or arrangements, and buying and selling of business entities. As indicated previously, the Interpretive Notes to the new Recommendation 24 offer additional flexibility and a clearer explanation of the steps a country needs to take to be deemed to be compliant with Recommendation 24. The question is: Will Senator Levin use the added flexibility and clarity to construct a compromise or will he insist on the current version of the bill, which is likely to doom it to defeat? The Financial Action Task Force (FATF) is an inter-governmental body whose purpose is the development and promotion of policies, both at national and international levels, to combat money laundering and terrorist financing. The Task Force is therefore a "policy-making body" which works to generate the necessary political will to bring about national legislative and regulatory reforms in these areas.